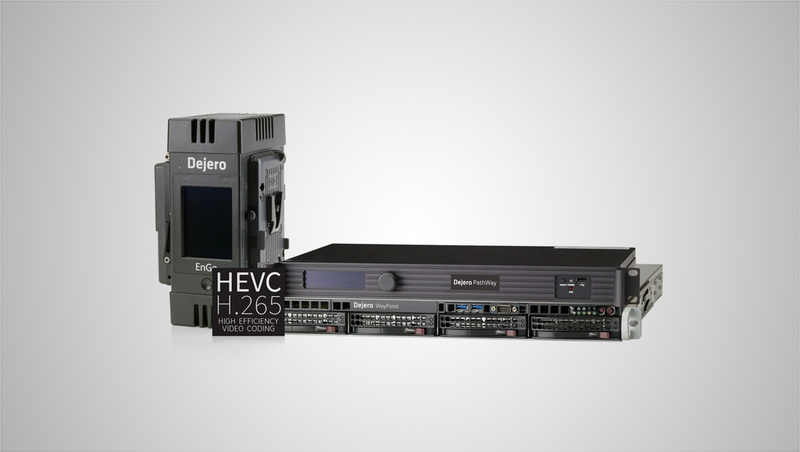 Dejero, an innovator in cloud managed solutions that provide video transport and Internet connectivity while mobile or in remote locations, has announced that it will showcase blended connectivity solutions offering enhanced reliability for live feeds over IP networks, and reliable connectivity for crews working in the field. It will also showcase new encoding and decoding equipment with HEVC video compression technology in support of live and file-based broadcast and media workflows at Booth C2025, during NAB 2018. Providing enhanced reliability in situations where cellular networks are congested or cell coverage is limited, Dejero CellSat leverages the company’s patented network blending technology to improve reliability by combining cellular connectivity from multiple mobile network carriers with Ku-band IP satellite connectivity provided by Intelsat. Dejero has focused on simplifying the use of multiple connection paths with built-in intelligence and automation so field crews can focus on capturing live news and events with confidence. “We’re tackling the dilemma that broadcasters face about which video transport assets to deploy to a news story or live event; cellular or satellite,” said Bogdan Frusina, founder of Dejero in a statement. Whether it’s called remote production, at-home production, or remote integration, or REMI, connectivity is key to transfer data between remote locations and the broadcast facility. Field crews need to communicate and collaborate with their colleagues, access media assets and cloud-based systems, and transfer files. Dejero’s in-vehicle mobile connectivity solution, called GateWay, facilitates collaboration and integrated workflows as if the field crews and home base crews were working in the same central location. Efficiently transporting high quality video from the field is critical to today’s broadcasters and HEVC is the video compression standard that the industry is shifting toward. Combining Dejero’s industry-leading auto-transport and adaptive bitrate encoding technology, which optimizes picture quality when there’s limited bandwidth available, with the newest compression standard, the company will showcase HEVC capable EnGo mobile transmitters and PathWay rack-mounted encoders and transmitters. In the broadcast facility, the new Dejero WayPoint receiver is used to receive, reconstruct, and decode multiple incoming streams to SDI or IP (MPEG-TS over IP) playout workflows. Using auto-detect technology for complete backward compatibility, WayPoint detects whether the incoming transmission is using AVC or HEVC compression and reconstructs the video from Dejero transmitters. Built on a 1U form factor with four outputs to minimize required rack space, and with dual-redundant power supplies and RAID storage for broadcast-grade reliability, WayPoint seamlessly integrates into existing broadcast infrastructures. Dejero is an expert in providing reliable connectivity to broadcasters and content creators with crews working in the field. Visit Dejero at NAB, booth C2025.